As the Sandy Hook 3rd anniversary rolls around this December 14th, 2015, it is well worth remembering what a strange, unique, manipulative and horrific event occurred on December 14th, 2012. When I say horrific, I am not referring to what you may think was the horrific aspect of the event: the gunning down of 20 innocent children and 6 innocent adults. That is unquestionably horrific, but to date there has hardly been enough evidence to prove beyond all doubt that actual people were gunned down. y the way, if you think Sandy Hook no longer matters, ask yourself why Amazon (on behalf of the US Government) felt so scared it had to engage in censorship by trying to ban Jim Fetzer’s book Nobody Died at Sandy Hook (available for free here). Sandy Hook is still very relevant, because it was a scam of massive proportions. Take a look how many false flag mass shootings are still being carried out monthly and even weekly (e.g. Paris, San Bernardino) to terrorize the public, push gun control and achieve other political and geopolitical aims. 1. Why was a Facebook webpage for the alleged dead teacher Victoria Soto of Sandy Hook Elementary School posted before the event occurred? 2. 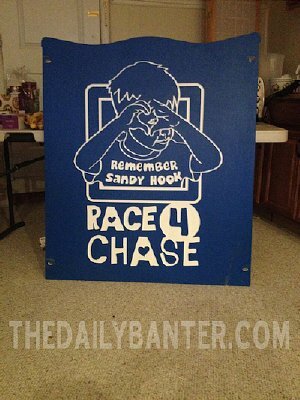 Why was the United Way charity webpage for Sandy Hook posted before the event occurred? Google caught evidence of foreknowledge: this United Way charity website page was launched on Dec. 11th, 2012, a full 3 days before the mass shooting at Sandy Hook actually occurred! 3. How did the Arlington Red Devils website post the book on Talking With Children/Students About the Sandy Hook Elementary Shooting on 12/10/2012 (which was contained in the page url), 4 days before the event occurred? If this were some kind of technical glitch, then how did Google’s bots manage to record a cached page for 12/13/2012, still 1 day before the Sandy Hook shooting happened? 4. How did John Trentacosta (whose house was next to the Lanzas with a lot of activity occurring there at the time), who was CEO of the local Newton bank, start a victims’ fund on the same day so quickly after the event, after receiving in his words “countless requests” to do so? Is it just a coincidence that Trentacosta was also a member of a new council of the New York Federal Reserve, the Community Depository Institutions Advisory Council? 5. According to various researchers, why was the Newtown community seeded with new families in the years leading up to the event? 6. According to Wolfgang Halbig, why were 16 state troopers pre-positioned 45-60 minutes before the alleged shooting? 7. Why did the media keep switching its narrative as the story unfolded regarding the actual weapon used? Finally they settled upon a rifle. But how could a rifle kill 26 people in such quick succession? 10. Why was there no evidence of blood? A total of 26 fatalities (children and adult) would produce at least at a conservative estimate 20 gallons (75 liters) of blood. Thus would require a concerted blood cleanup (blood is considered a biohazard in this type of situation), yet when Sofia Smallstorm asked who did the cleanup, all the departments were ignorant of it and even claimed that no one did the cleanup. 11. Where are the alleged 600+ children of Sandy Hook Elementary School? Why is there absolutely no photo or video evidence of any dead bodies? Why did coroner Wayne Carver say the following? 12. According to Wolfgang Halbig, why do the records show no social security numbers for the dead students? 13. According to Wolfgang Halbig, why do the records show no report of actual shots fired? 14. According to Wolfgang Halbig, why does the Sandy Hook shooting crime not exist on the FBI 2012 crime report? 15. According to Wolfgang Halbig, why does the tax accessor’s website shows the victims’ families got free houses on Christmas day when all Government offices are closed? 16. Why were all the ambulances parked at the fire house away from the crime scene (except one on Dickinson Dr. which was also too far removed to be helpful)? Why were so few EMTs (Emergency Medical Technicians) allowed in the school? 17. Why does the iconic image of the teacher leading kids out of school contain evidence of Photoshop doctoring and fakery? The iconic image of Sandy Hook – the evacuation – shows numerous signs of fakery, from Photoshop doctoring to EXIF data. 18. Why does the Sandy Hook Timeline of Evacuation not match the video evidence from the trooper’s car stationed at the Sandy Hook Elementary School car park? 19. 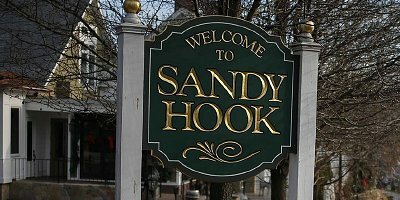 Why was there a big electronic sign erected at the entrance to the Sandy Hook Elementary school stating “EVERYONE MUST CHECK IN” if the event were real and not a drill? 20. Why was there an active shooter drill at around the same place and the same time as the Sandy Hook event? Every recent false flag since at least 9/11 has had this element. 21. Why are people walking around the Sandy Hook fire house in circles like a movie set? Why was there such a lack of urgency in the emergency personnel who were responding for many hours after 10am when people were still unaccounted for (e.g. nurse Sally Cox who claims she hid in a closet for 4 hours until 1:15pm)? 22. If Sandy Hook Elementary School was a legitimate and operational school at the time of the event, why is there evidence that the school shut in 2009 due to asbestos, was reinspected in 2011, and was flooded again with Hurricanes Irene and Sandy? We know FEMA and the US Federal Government supplied money to Newtown to revitalize it. Why does the local business Apex Glass claim they were using the school premises for their glass business (apologies but the interview revealing this information has been taken down by YouTube [https://www.youtube.com/watch?v=M9vLEzNsI00])? Sandy Hook: If this were a real mass shooting and not a drill, why must everyone check in? 23. Why were the entire school grounds of what we were told was “Sandy Hook Elementary School” demolished and rebuilt? Does this remind you of how the metal scraps from 9/11 were immediately shipped off to China before they could be examined for evidence? 24. Why did Town Clerk Debbie Aurelia and Connecticut State Attorney Kevin Kane refuse to release the death certificates and the names of the “victims”? Why did Connecticut officials conspire to pass an unprecedented bill banning FOIA requests and access to death certificates and other information, normally part of the public record as a matter of course for centuries? Connecticut Governor Dannel Malloy signed the bill on June 5th, 2013. 25. Why were there so many black and silver (Government-type) cars around the school and fire house in place before the event? 26. According to Sofia Smallstorm, why were the exact number (26) of Christmas trees for the memorial already sitting outside the fire house before the event occurred? 27. Why do so many of the victims’ family members appear to be acting, smirking, giggling, snickering and outright laughing after the event, such as Robbie Parker? 28. How does one explain the highly strange behavior of Wayne Carver, the chief medical examiner and coroner? Why did Carver say that “You can control a situation depending on your photographer, and I have very good photographers”? Why did Carver say that “I hope the people of Newtown don’t have it crash on their heads later”? 29. Why did Lieutenant Paul Vance threaten to prosecute as a crime anyone who reported information that contradicted the official narrative? 30. Why did the Connecticut Governor Dannel Malloy say that “The Lieutenant Governor and I have been spoken to in an attempt that we might be prepared for something like this playing itself out in our state”? Even Sandy Hook is infected with one eye Illuminati-Masonic symbolism. Just a coincidence? 31. Why did no one sue the school or the estate of Nancy Lanza? 32. How is it that no parent wanted to see the dead bodies of their children in the school? 33. Why were all the funerals conducted with closed caskets? Makia Freeman is the editor of alternative news / independent media site The Freedom Articles and senior researcher at ToolsForFreedom.com, writing on many aspects of truth and freedom, from exposing aspects of the global conspiracy to suggesting solutions for how humanity can create a new system of peace and abundance.